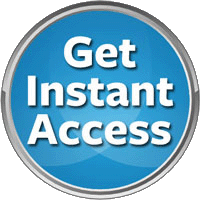 The application process for most physical therapy programs begin in the summer and are completed via PTCAS. By this time you’ve already done your research on how to become a Physical Therapist and you’re really hoping to get an interview at one of your top choices for PT school. One of our most popular articles (over 500 pins on Pinterest!) 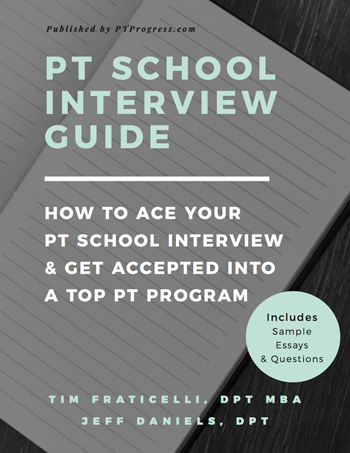 shares some great tips and strategies for crushing your PT school interview. 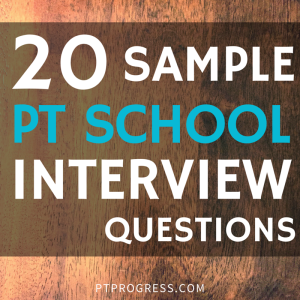 You can find sample formats to build a strong answer to some of the most common PT school interview questions. This article expands a bit more by listing out 20 30 sample PT school interview questions that you might be asked this fall. 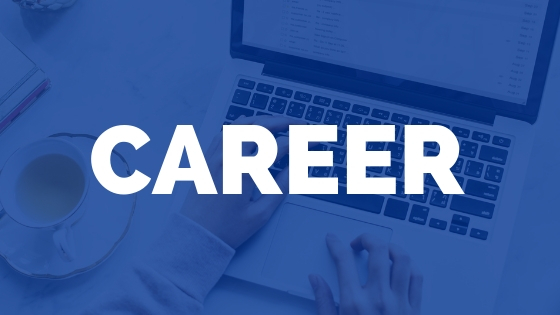 If you use the same strategies from this article, you should have no problems crafting an answer that helps the admissions team really get to know you and why you’re a great fit for their program. ***Note: This article is about 1,000 words of helpful advice. But we knew something was missing, so we created a guide that shares the exact strategies and ESSAYS we used to land a seat at the #1 PT School in the country. You can read that article here: The Physical Therapy School Interview Guide. If you’re applying to med school, you might also find these similar questions. My wife was accepted into med school and saw very similar questions in her interviews. 2. What made you decide to apply to our program? 3. 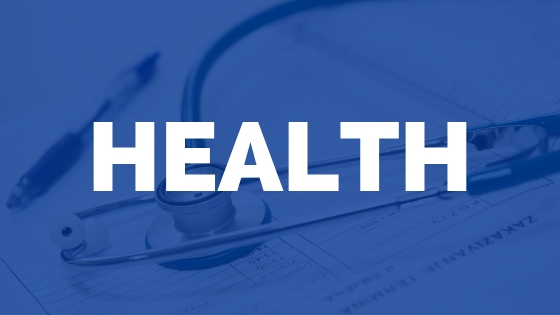 There are many health related careers. Why do you want to become a PT? 4. What can you offer to the graduate program and/or the profession? 5. Can you provide an example of how you have handled a stressful situation in the past? 6. Who would you say inspires you? 7. What area of physical therapy have you experienced? 9. What motivates you each day? 10. What strengths do you have that will enable you to become a successful Physical Therapist? 11. 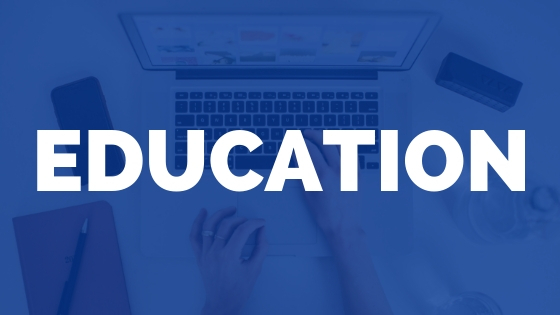 What courses do you feel have helped to prepare you in becoming a PT? 12. What kind of volunteer or shadowing experience do you have? 13. What did you learn from your PT shadowing experience? 14. Tell us about your experiences in working with a diverse group of people. 15. What is your take on the APTA’s vision and mission statement? 16. What are the greatest challenges you’ve overcome personally? 17. Can you speak about a time you struggled (during college or work) and what you did to overcome that challenge? 18. What do you think your biggest challenge will be in graduate school? 22. What makes you think you’ll be a good Physical Therapist? 23. What is/was your favorite subject in your current studies? 24. In your opinion, describe the qualities of a great Physical Therapist. 25. What do you feel the greatest challenges are for Physical Therapists today? 26. How do you see healthcare evolving in the next 10 years? 28. What would you do if one of your classmates was cheating? 29. 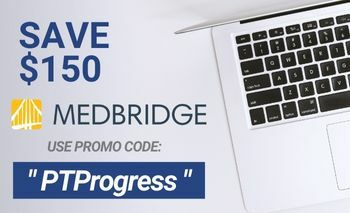 If you don’t get into a PT program, what are your plans? Of all the potential questions, number 30 is the most important to rehearse. If you are conversational during the interview, you’ve probably asked a few questions already which looks great! If you realize that you’ve just been machine gun answering every question, now is your chance to stand out and show that you’re interested. Ask questions about new developments within the department or research they’re doing that actually interests you. It seriously has to be genuine – if you’re asking a question that can be found on their financial aid page, you’re wasting everyone’s time. Put some thought into these questions and come prepared with examples and stories and you’ll do just fine on your interview.